I originally purchased the groupon because I thought it would help reduce the ongoing pain I have experienced since my car accident 5 years ago. Now I am confident it won’t just help, but we will be able to eliminate the pain, which is more than I thought was possible after my physical therapist told me they had done all they could do. Now I can’t wait to see what we can do! I got the best massage from Samantha. My sciatica didn’t return for 2 days. She really listened to my needs and then took care of them. I love Shawn and Courtney and Lynne! Best time of my day is coming here! Love the great energy and great chiropractic skills! All the staff from the girls out front to The big Dr. himself Was amazing!!! I recommend Port City Chiro to all my friends now!!!! Shawn solved the problems, fixed the shoulder issue, diagnosed the knee problem and provided a solution, and in general keeps my frame working properly, so that I continue being active. Dr. Shapiro has given me my life back. After a fall 7 years ago I suffered acutely with vertigo. My life was affected in every way possible. I went from one neurologist to another, each of them offering me nothing more than medication that ultimately made my condition worse. I am now firmly on the road to recovery. I now have my life back. Great staff and always ready to take care of my needs. I appreciate the detail of Dr. Shapiro’s initial exam. This is the first time I’ve gotten actual answers on what some of my issues stem from. I am very happy my son referred me to Port City Chiropractic. The staff couldn’t be nicer or more helpful . 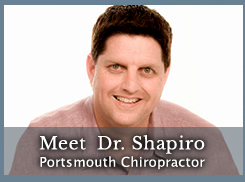 Dr. Shapiro is wonderful and has a unique way of putting you at ease when it comes to adjustments. The atmosphere is always friendly and professional, which I appreciate. I have always been a little sceptical about chiropractors since I had never been to one- probably scared more than anything. But no more!!! I love going and I am totally glad that I went. The treatments have helped immensely! Most professional, helpful, comprehensive in all regards! My mother thought the foot massage was the best part of her Groupon massage. Thank you! What a friendly practice! There has never been a better time to be a chiropractic patient. Let’s face it most of the world is chasing its proverbial tail, trying to get healthy through fad diets, fad surgeries and health philosophies flawed by their belief that healing and health come from outside the body. 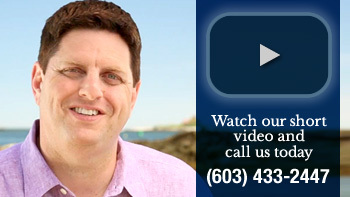 At our Portsmouth office we provide the highest level of care for Portsmouth and Dover and Kittery, and get the best results, in the quickest amount of time. My ultimate goal is that I come to work everyday, and never see my long time patients, when they are in pain and suffering but in a preventative case to make sure that their health and their future is a secure one. But the truth is that the more you know, the better you will get, so our motto is “educate first, adjust second.” From the minute you walk into our Portsmouth office you are considered not just our patient, but our partner. You will take an active role in coming up with your own solution, and you will be presented with all the facts about your case so that when you walk out, you will have a good idea where you are headed! Find out why other Portsmouth-area residents are choosing the chiropractor committed to patient education and understanding in Portsmouth. Also offering Portsmouth and Seacoast residents the finest in massage therapy acupuncture and hypnotherapy. 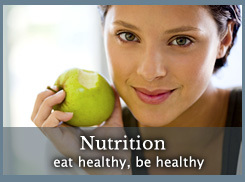 We have free parking validation, two chiropractors on staff, open 6 days a week, and concierge service available! Contact our Portsmouth chiropractic office now to schedule an appointment. 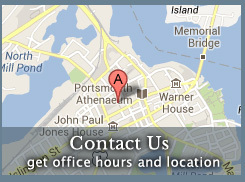 Quality chiropractic care to the Portsmouth, Dover and Kittery communities.